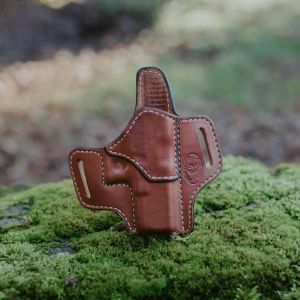 Located outside of Portland in Lafayette, Oregon, JT Holsters is a small business owned and operated by husband and wife team, James and Tammy. 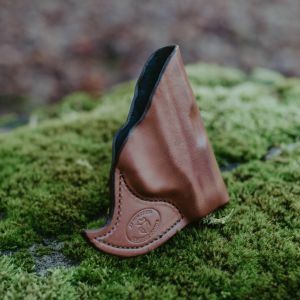 The inspiration to create their own holster sparked after purchasing several and finding themselves disappointed with the price and quality. What began as a personal project soon grew to a demand as friends and family saw the value in the products they were making. JT Holsters was officially established as a business in 2016, and continues to grow today. 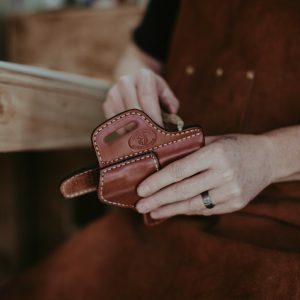 James and Tammy pride themselves on using only quality materials and taking the necessary time to hand craft each product, ensuring the result is an item built to last. With care and attention placed into every step of the way and value placed in customer care, JT Holsters is operated with excellence as foundation. Between the two of them, a passion for leather work and the skill to match has continued to develop. Being able to not only work together, but complement in skill and responsibility spurs the business and enjoyment of creating. 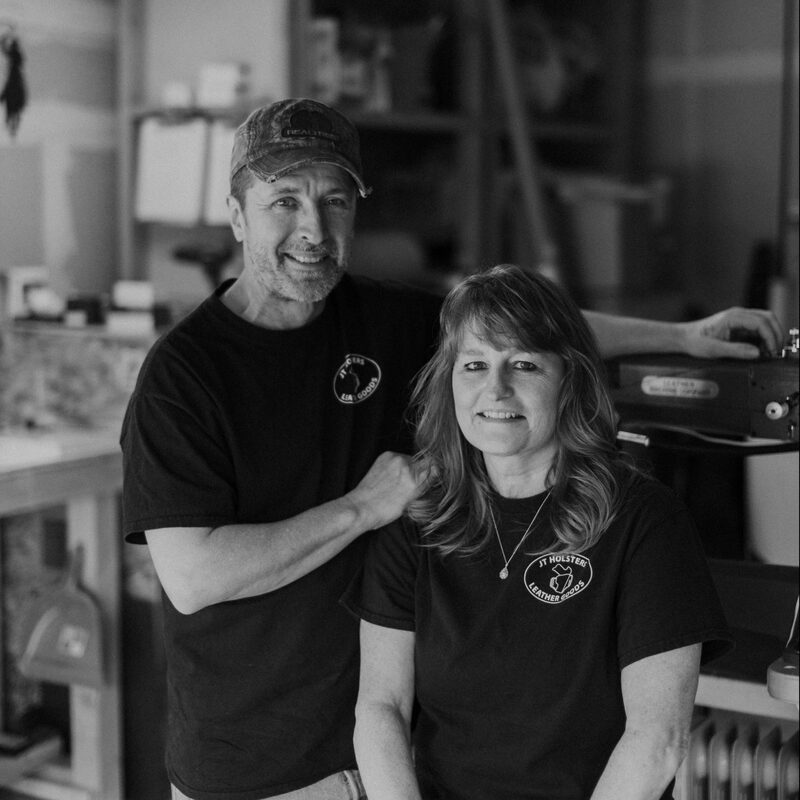 Outside of crafting beautiful products, James and Tammy greatly enjoy spending time outside in the gorgeous Pacific Northwest, camping, fishing, hunting – and of course, shooting. JT Holsters was built on the foundation of quality and custom craft. 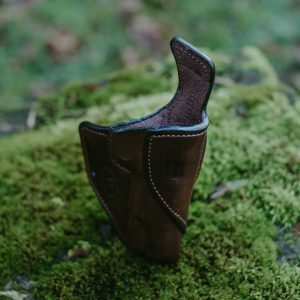 While you can purchase a holster anywhere, it’s crucial you end up with a product that fits just right, and made with materials that last.